Childhood nostalgia at its best! 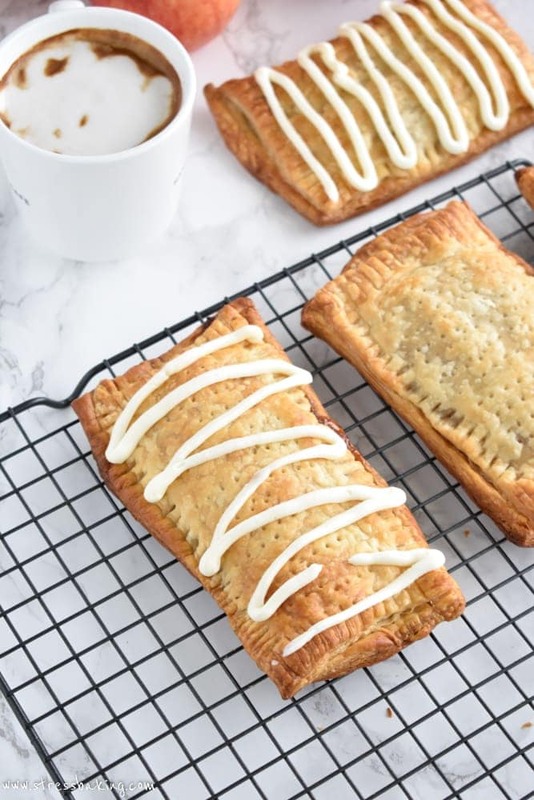 Puff pastry envelops a warm apple cinnamon filling and is topped with a hearty vanilla cream cheese drizzle for a homemade toaster strudel. 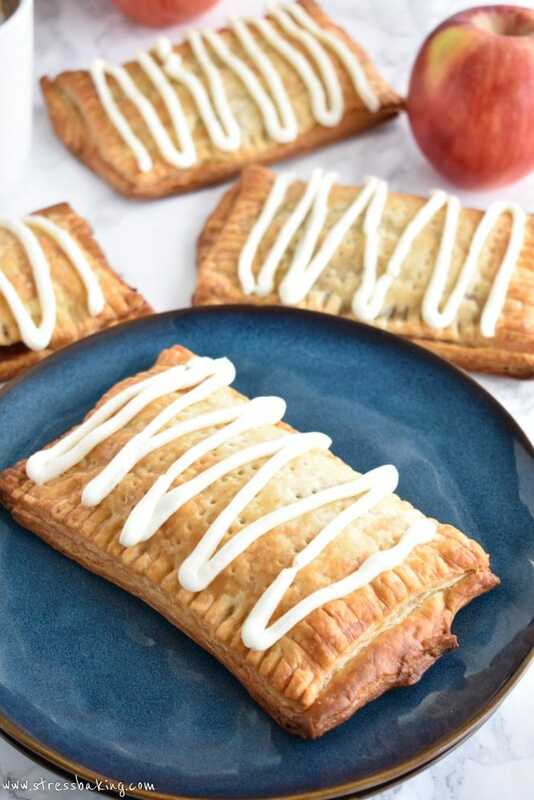 Growing up I would always have a box of frozen fruit pastries in my freezer, ready to be popped in the toaster at any point and time. I would always put them in for two cycles in the toaster to get them dark golden brown, and then slather them with cream cheese icing. Obviously, this wasn’t something I was allowed to eat all the time, but it was a wonderful treat when I did. I always, always, always wanted the apple flavor. ALWAYS. I’m fairly sure I’ve never had any of the other flavors. My love affair with apple-everything is long standing. Much like ice cream, I make (and subsequently, inhale) all things apple year round. I don’t wait until fall, and it doesn’t end when snow falls on the ground. Just because the orchards in Massachusetts are closed for the season doesn’t mean they are everywhere else! Enter Autumn Glory apples from Domex Superfresh Growers®. I was recently lucky enough to attend this glorious pot luck thrown by Lauren of Hunger Thirst Play where we all cooked up our own concoctions using Autumn Glory apples – some sweet, some savory, all delicious. The apples have this intoxicating aroma – when I opened the box they were delivered in, I probably spent a good five minutes just sitting there smelling them. They smell amazing. It’s like inhaling a container of freshly made applesauce with a hint of cinnamon and caramel. I only needed to use two apples for the recipe I made for the potluck, and two for this recipe, so the rest went straight into my snack pile. 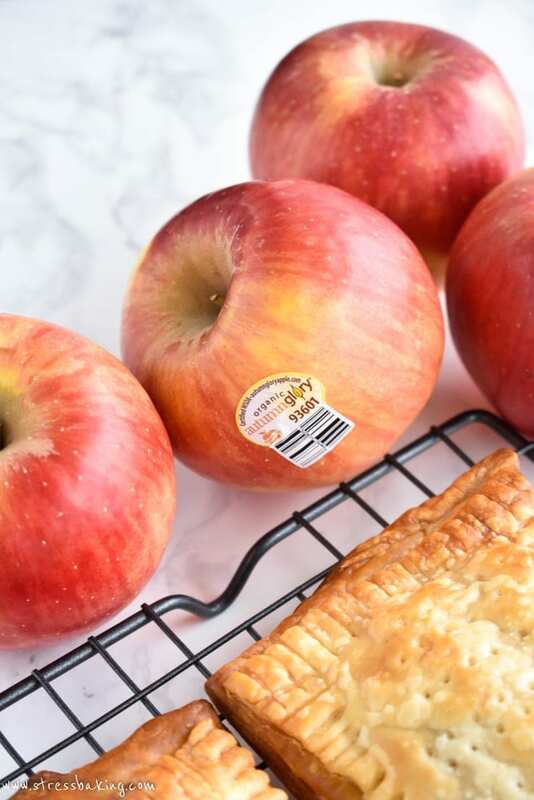 I’ve always been a big fan of snacking on apples, but I almost always need to pair them with some peanut butter or Nutella. These? No pairing needed. They’re completely sufficient on their own. The flavors and the crunch are absolute perfection. It was at that pot luck that I got to really experience how the flavors of Autumn Glory apples work in savory and sweet dishes. Spoiler alert: they’re incredible in both. They’re natural sweetness lends itself well to savory dishes like savory baked apples, rosemary/apple/gruyere flatbread, and lamb chops with mint chutney. 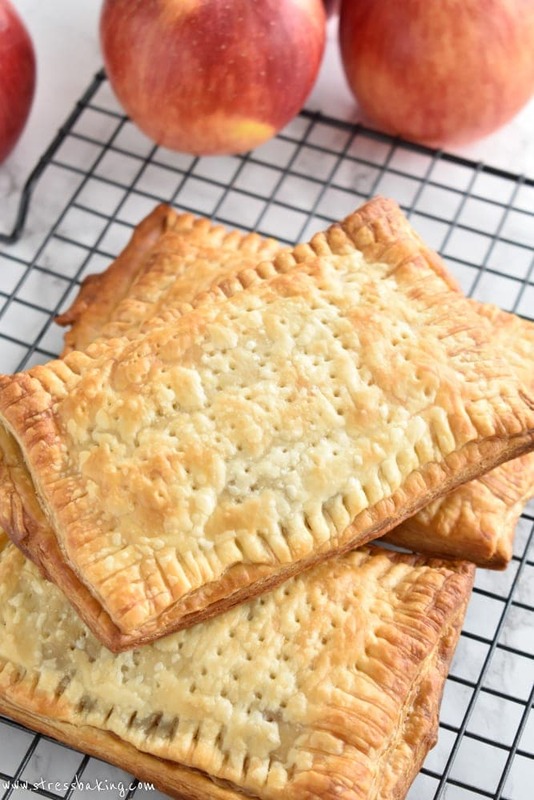 And because they have a natural sweetness about them, it allows for a lower amount of sweetener in sweet dishes like hand pies and apple pumpkin bars. AND they’re amazing in an apple cinnamon whiskey smash. 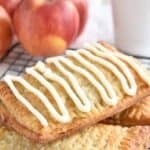 Now we can add apple cinnamon toaster strudels to the mix! But remember – they wouldn’t be complete with a healthy dose of cream cheese icing. I mean, they’re perfectly delicious without it, but you’re not going to get the full childhood nostalgia experience without it. Drizzle it on in a nice little squiggle. Or just smear it on, I don’t judge. I always put one on a plate, planning to share the rest, because that’s the decent and socially appropriate thing to do. Another spoiler alert for you: They all end up on my plate. 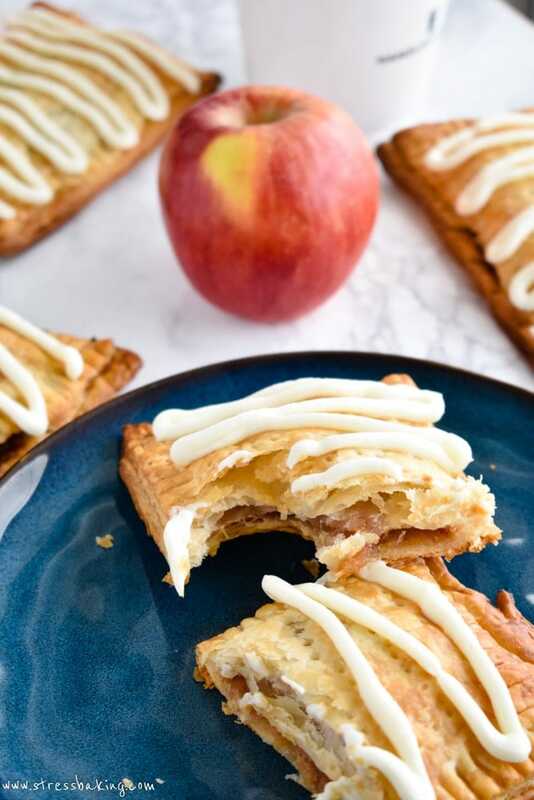 I hope you love this recipe as much as I do, and I really hope you’ll consider checking out Autumn Glory apples. Who wants to take a road trip to Washington with me? ? Grate apples against the large holes on a box grater (watch your fingers!). Don’t worry if you don’t use the entire apple, it gets too tricky when you get to the end. In a medium saucepan, melt butter over low heat. Add grated apples and stir to combine. Add brown sugar, cornstarch or flour, lemon juice, cinnamon, ginger and salt. Turn heat up to medium and stir constantly until the mixture is completely combined and has thickened (10 minutes or so). Remove from heat to cool. 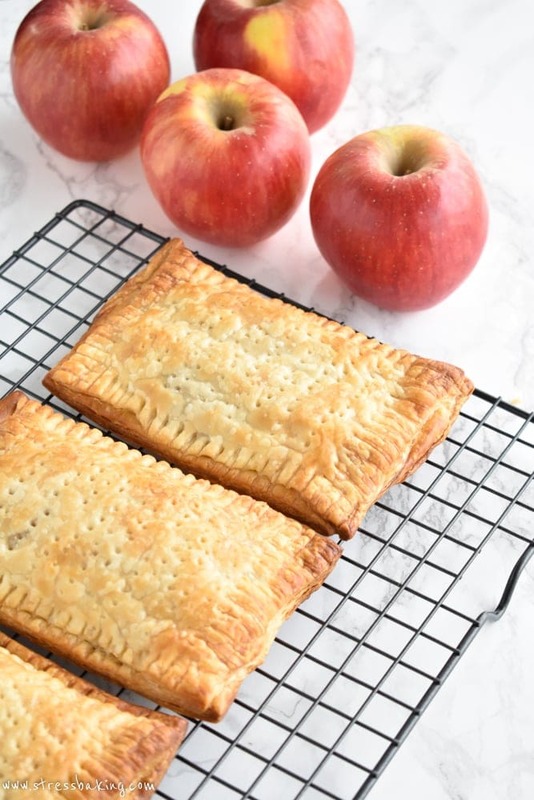 Roll out your pastry sheet to be around 11×15″. Cut each sheet into 8 equally-sized rectangles. 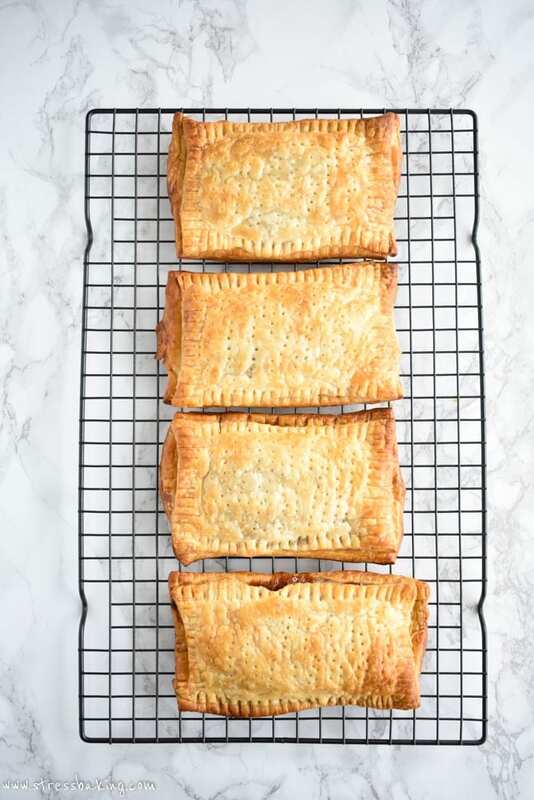 On a baking sheet prepped with a non-stick silicon mat or parchment paper, place 4 of the pastry rectangles with some space between each. Spoon a heaping tablespoon (or 2, as long as you’re evenly distributing the filling you prepared) of filling into the center of each rectangle. Leave yourself about 1/2″ space around the edges. Brush each of the remaining 4 pastry rectangles with your egg wash, and place each wash-side down on top of the filled rectangles. Use a fork to seal the edges, all the way around, and then prick them all over the top with the fork. Bake for about 25 minutes, or until golden brown. Let cool on pan for 5 minutes, then transfer to a wire rack to cool completely. While they cool, prep your icing! 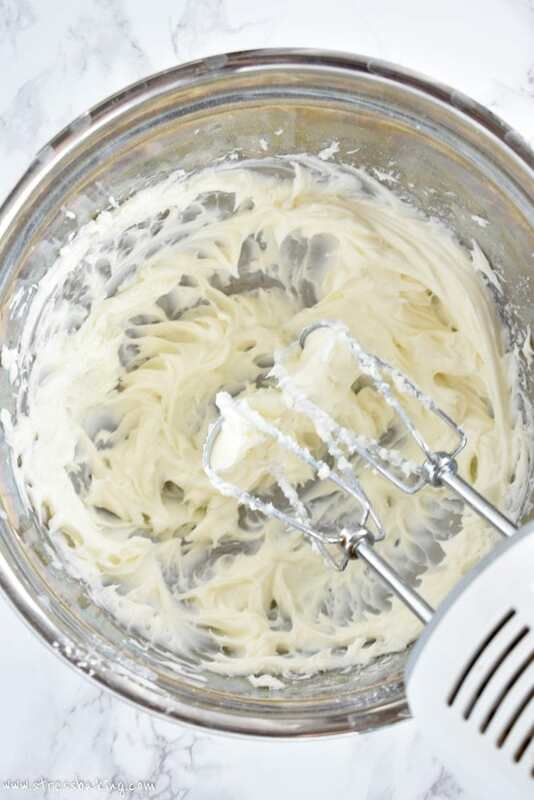 In a small bowl, use a hand mixer to beat cream cheese, powdered sugar and vanilla extract until completely combined. 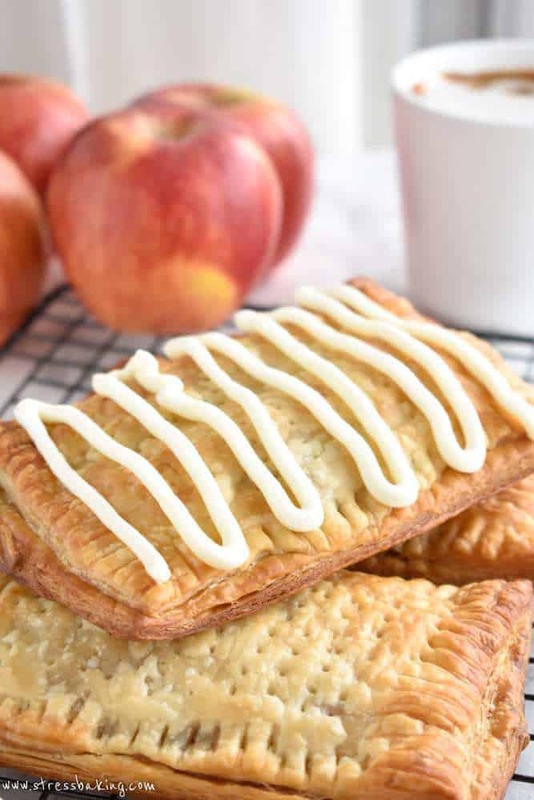 Spoon into a piping bag or plastic bag with a small corner cut off, and pipe onto each pastry. Serve immediately and enjoy the nostalgia! This post is sponsored by Autumn Glory Apples, but – as always – all opinions are my own!